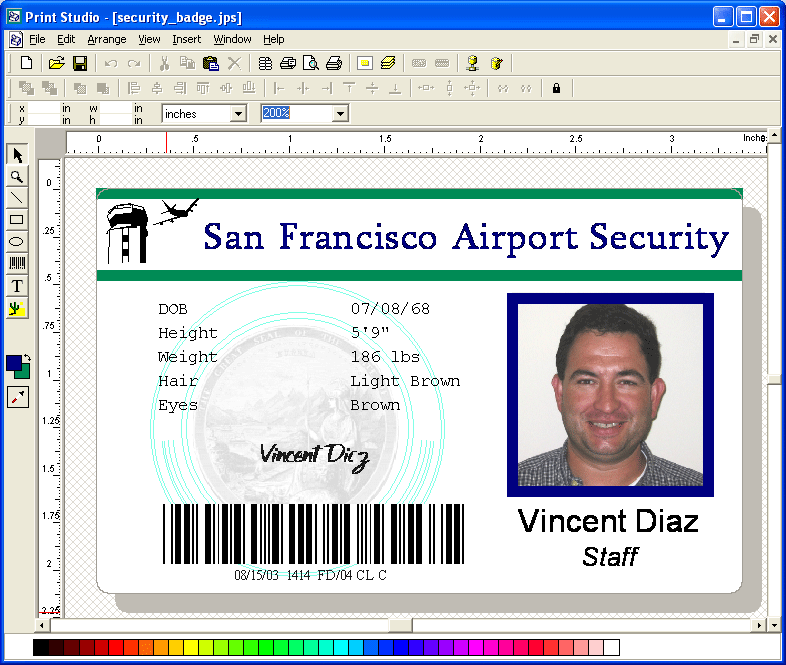 UDM Downloads > Print Studio Photo ID Card Software! Print Studio provides everything you need to design and print ID cards. Whether you are using paper badges, or PVC cards, printing single sided badges or double sided ID cards, using a laser or plastic card printer, Print Studio will do it all! By including a standalone networkable database feature as well as one-click connectivity to a vast range of other databases such as Microsoft Access, Microsoft Excel, MySQL, FoxPro, and Dbase, Print Studio Professional makes managing membership information, photographs, and other security data an easy task. Print Studio Professional also incorporates a fully functional database editor to manage existing databases as well create new custom databases. Quickly and accurately acquire photographs or any other type of images at high resolutions using Print Studio's image acquisition module. Once acquired, rotate, crop, and resize the images using Print Studio's advanced set of imaging tools, all of which use extremely accurate imaging alogrithms to prevent images from becoming distorted or unrecognizable as often happens with other software.